Blockchain has been cited as a possible solution to the most contentious aspect of Brexit. With 43 days left before Britain leaves the European Union, can the nascent technology play its part in resolving the logjam? 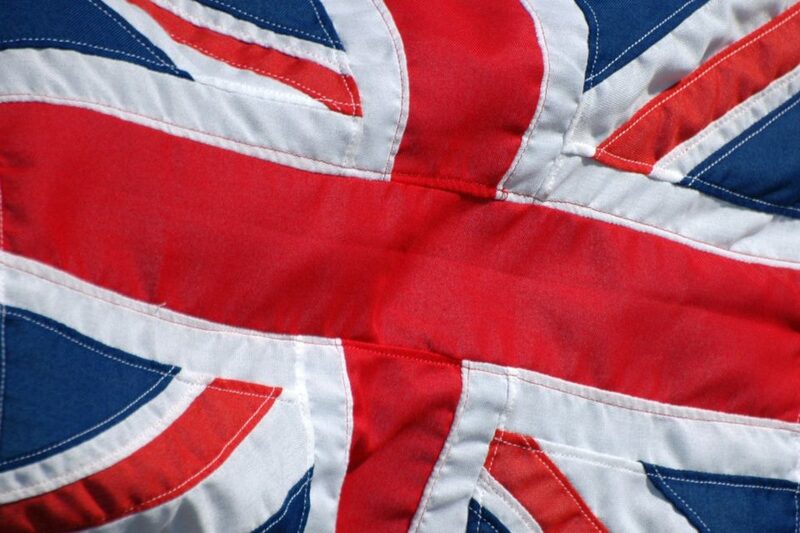 On March 29, Britain may leave the European Union with or without an agreement in place. The main stumbling block to reaching a deal appears to be the Irish backstop. 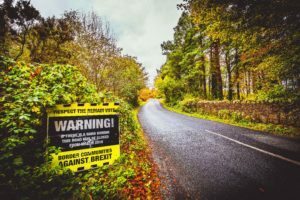 The backstop is a fallback position to agree to maintain an open border between the UK and Ireland without a fully detailed deal having been determined. The matter is contentious as the region has enjoyed an open border in line with the Good Friday peace agreement which came into effect in 1999. It’s a matter of debate as to whether a hard border definitively breaches the terms of that peace accord. However, there is no doubt but that a hard border would affect the freedom of movement of people along the border region. This could have implications and unintended consequences in terms of security potentially. Notwithstanding that, if duties are not harmonised between the two jurisdictions, some form of control will be necessary. Blockchain or distributed ledger technology certainly has some characteristics which could lend itself to this use case. At its core, it acts as an irreversible, immutable, shared single source of truth which is tamper-proof and unchangeable. A research paper published by the World Customs Organization (WCO) last year suggests that the technology has merit in terms of its application in the context of Customs and cross border trade. The study concludes that blockchain is “a giant leap for Customs in the 21st century”. “Could smart contracts solve cross border customs checks? Yes, but in a BREXIT context, would, paradoxically, involve more cross border co-operation.” And: “The EU or the UK as a standalone entity could utilise this technology to create truly frictionless trade within Europe and beyond”. Customs authorities in Mexico and Singapore are already using the technology for certain elements of their processes – albeit on a trial basis. Switzerland intends to digitize border interactions with the EU by 2026. This technological approach is not without its problems. Some physical checks would still be needed as any system is not foolproof. Blockchain can’t solve the problem of smuggling, an activity that was vigorously pursued prior to either Britain or Ireland joining the European Union. It can’t legislate for goods that never come in contact with the system in the first instance. Since the 1999 Good Friday peace agreement, borders between Ireland and the UK have remained open. 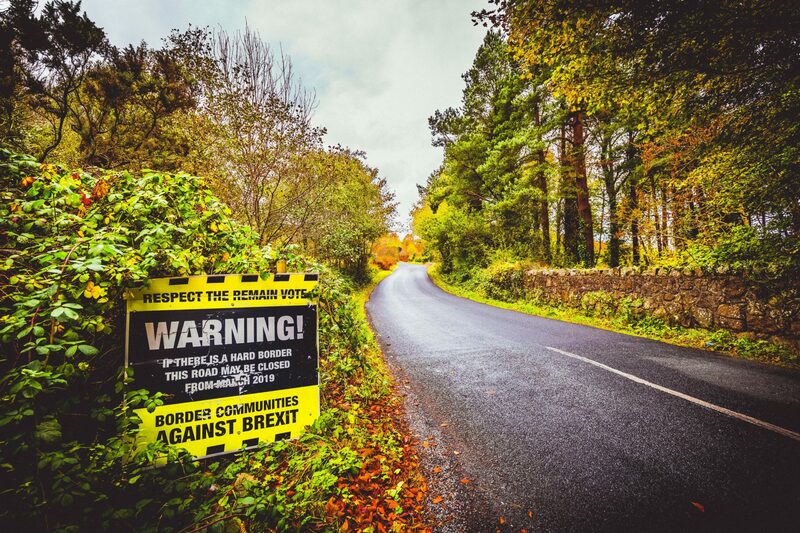 Many fear that a potential ‘hard’ border created by Brexit can jeopardize the peace between the former conflicting parties. Image courtesy: Jaime Casap on Unsplash. Although distributed ledger technology has been around for quite some time, it’s only more recently that work has begun in earnest to develop the technology to the point of real-world use. Given the timeframe, with a Brexit deadline of March 29 and a transition period of 21 months, it remains to be seen if this will be sufficient to effect such a complex technological solution. However, with the right implementation, Spence believes that such a solution could not only address the original issue but bring with it additional advantages also. Whilst it does present the opportunity to do away with bureaucratic processes toward more frictionless trade, technology changes faster than attitudes. To implement a blockchain based solution, there would have to be a strong commitment from both jurisdictions and at European Union level. Certainly, at a conceptual level, it would seem that blockchain could fulfil its role in facilitating frictionless trade. Given the political will, actual implementation is not insurmountable. Therefore, it could solve the bulk of the problem but the peripheral items that remain could then become the most contentious aspects of the overall implementation. The use of automated number plate recognition (ANPR) systems, closed-circuit TV and the need for physical checks (even at a minimal level) are unlikely to be palatable to border communities. 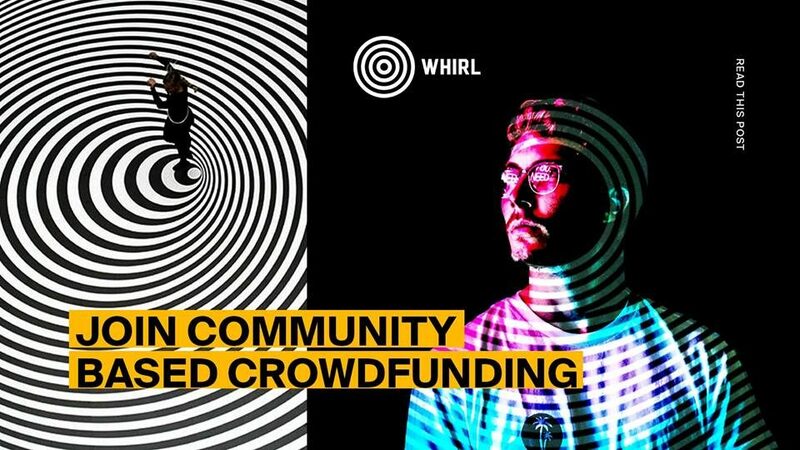 An all-star team of nonprofit, blockchain, and crowdfunding veterans, including Roel Wolfert (Bancor, VISA) and Martijn Hekman (World Vision, United Nations), is thrilled to announce the launch of WHIRL, a socially driven crowdfunding platform that’s built on the blockchain. Located at www.whirl.com, WHIRL gives the world a new way to finance their dreams and obligations, while introducing a revolutionary incentive system to encourage giving and maximize campaign success. Powered by a team of 20 with support from a broad business network, WHIRL launches after years of research and after a year and a half of development with thorough legal vetting as the market’s first credible blockchain-powered consumer crowdfunding platform. WHIRL is co-founded by Roel Wolfert, a pioneer in digital payments, founding member of Liqwith, early adviser to Bancor, and former Senior VP at VISA, and Martijn Hekman, who has led large-scale humanitarian aid efforts across 15 countries, for World Vision, the United Nations, and multiple NGOs. Over the last decade, crowdfunding has stagnated due to oversaturation, fraud, and declining success rates. WHIRL solves these problems by listing a limited number of campaigns at once and by incentivizing backers with a fair and transparent points system, called “Karma.” When you back a campaign on WHIRL you earn Karma. Then when it’s your turn to create a campaign to realise your dream, your Karma determines when it goes live and how much it can raise. This pay it forward feedback loop was inspired by historic community giving pools. WHIRL launches with 3 live campaigns. The first is to fund a performance art and music show by acclaimed artist and provocateur, Sandra Kowalskii. The second is to fund a personal expedition to conquer Mount Kilimanjaro. And third is to fund a unique fantasy video game that lets you wave your phone like a magic wand. First credible blockchain-powered consumer crowdfunding platform; launches after many years of research, a year and a half of development, and full legal vetting. Built by an all-star team of nonprofit, blockchain, and crowdfunding veterans, including Martijn Hekman (NGOs, United Nations), Roel Wolfert (Transtrack International, Bancor Foundation, Liqwith), Valery Zobov (MegaLine), and Anti Danilevski (KICKICO). Can be used to finance anything, within reason, from scientific endeavors to personal goals to medical bills to new business ventures. Designed to make every campaign into a success story by listing a limited number of campaigns at once, by incentivizing backing with a points system, and by introducing a fair and transparent campaign queue. For every dollar-equivalent you spend backing a campaign, you earn 7-20 Karma points. You need to meet a Karma threshold to create a campaign of your own and your Karma balance determines when your campaign goes live and how much it can raise. WHIRL supports 12 different cryptocurrencies: ADA (Cardano), BCH (Bitcoin Cash), BTC (Bitcoin), DASH (Dash), EOS (EOS), ETH (Ethereum), KICK (KickCoin), LTC (Litecoin), USDT (Tether), XML (Stellar), and XRP (Ripple). If you back a campaign with its platform cryptocurrency, WRL, you earn 10 Karma per dollar. Partner cryptos earn 8.5 and every other crypto earns 7. Because WHIRL is on the blockchain, it’s a global platform that lets anyone participate regardless of region or banking status. To reach the widest possible audience, WHIRL is also working on accepting fiat currency. WHIRL is a socially driven platform. Vetted nonprofits receive white glove support, their own campaign slots, waived platform fees, and increased backer incentives (20 Karma per dollar contribution). As B.F.Skinner so famously demonstrated, behavior can be shaped and modeled with the right type of incentives. For businesses, encouraging a certain approach or attitude can sometimes be tough. While a simple thank you can go a long way, many businesses realize that it takes a few more steps to really show appreciation, and hold onto true talent that might be looking to jump ship. In a recent market research report published by Credence Research “Gift Cards Market (Type – Open Loop Gift Cards, Closed Loop Gift Cards and E-gifting; Merchant Type – Department Stores, Restaurants, Food Supermarkets, Coffee Shops, Discount Stores, Entertainment and Hotels) – Growth, Future Prospects and Competitive Analysis, 2018 – 2026”, the global gift cards market is expected to hit US$ 750 Bn by 2026. “As of 2018, retail gift cards has grown to a $160B market annually in the US. The explosion in gift card growth is due to the challenges in gifting – knowing what a person wants, product details such as size/color/style, and knowing a shipping address,” states Shaul Weisband, Co-Founder, and CMO of Jifiti, a startup redefining retail experiences with unparalleled data & technology consumer financing, eGifting, gift cards and gift registry solutions, according to The Sociable. Moreover, one of the key factors contributing to market growth is an increasing demand for gift cards in the corporate sector. Corporate houses, in recognition of an employee’s contribution to the firm, are presenting gift cards. This trend has become widely prevalent in recent times with a positive effect on the overall market. Correlating with this trend is the corporate world’s open approach to wellness incentives for employees, which also works alongside this rise in gift cards. Eighty-five percent of large employers offering health insurance included a wellness program designed to encourage employees to stop smoking, lose weight or take other healthful actions, according to a 2017 survey by the Kaiser Family Foundation. Rewards or incentives to participate vary. The most common are gift cards, fitness trackers or other merchandise, or discounts on what workers pay toward their health insurance coverage. Other companies have taken to rewarding behavior, much like Skinner’s operant conditioning, encouraging the appraisal of good behavior among staff members. Love2shop, one of the UK’s largest business reward providers recently announced the launch of ‘Shout!’, a social employee recognition platform that improves workplace cultures through values-driven ‘shout outs’. These shout outs can accumulate to points which can be exchanged for non-cash prizes, such as gift cards, to employees who pass a certain threshold of recognition for positive contributions. 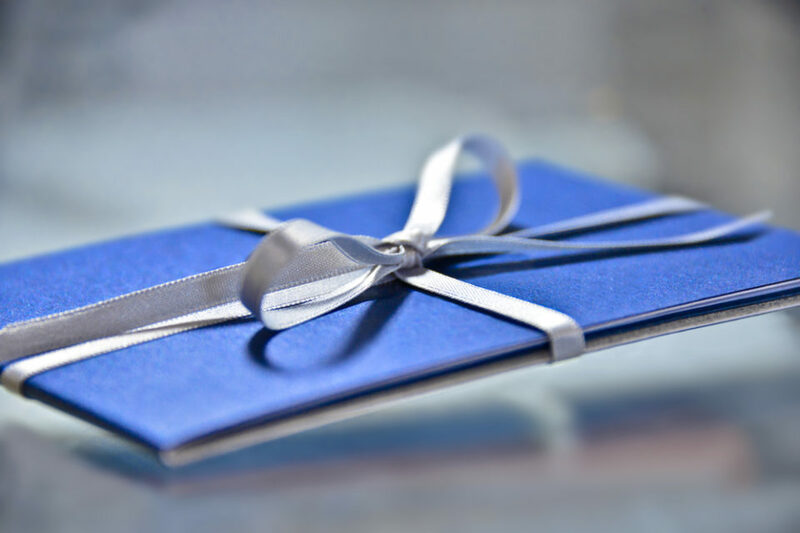 Evidently, the flexibility of gift cards has made them an excellent purchase, not only for those in our personal lives but also for those who we want to reward in a more corporate, formal setting. Bloomio, a blockchain based equity crowdfunding platform that allows investors to fund promising startups in return for tokenized shares, today publishes a comprehensive new report on the state of equity crowdfunding. The study was conducted in collaboration with the highly-reputed IMD business school and provides a detailed analysis of the key opportunities and barriers to investing in startups, based on a quantitative survey of 700 participants and qualitative interviews with fintech experts and startup founders. The report provides readers with a variety of original insights into equity crowdfunding. Amongst these, it finds that a significant portion of investment in startups is driven by an ambition to invest in something worthwhile and drive social change. 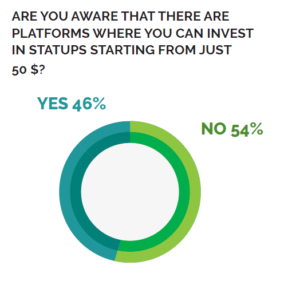 “Over half of our survey participants say that their main motivation for investing in startups is unrelated to profit, something unique to the startup industry,” said Bloomio CEO Max Lyadvinsky. In addition, the report outlines several key barriers preventing investment in startups. For retail investors, low awareness of venture capital opportunities represents the primary factor disincentivizing investment, whereas the main blockade for inexperienced investors is a fear of being scammed. A perceived lack of funds available for investment also discourages prospective investors from entering the venture capital arena. The report also finds that investors with startup experience recognize team performance as one of the most important things to consider prior to injecting funds. Experienced investors additionally have a higher tolerance to risk than those with no experience in startup investment. Bloomio plans to leverage the report’s findings to enhance its business plan and improve its customer offerings. “The study gives us a far greater understanding of customer needs and concerns, which is crucial for any company looking to drive above-market performance,” said company CEO Lyadvinsky. Bloomio is a pioneer in equity crowdfunding, a new form of investment which allows large groups of micro-investors to put money into projects in return for shares. The company was founded in 2017 with the objective of disrupting the venture capital industry. That year, the company was named winner of the IMD business school executive startup competition.